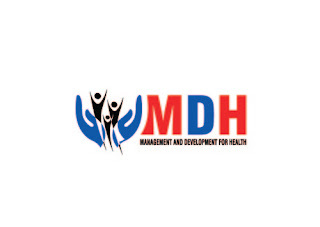 Management and Development for Health (MDH) is a non-profit organization in Tanzania that primarily aims to contribute towards addressing public health priorities through evidence-based interventions and partnerships. MDH works in collaboration with the Ministry of Health, Community Development, Gender, Elderly and Children; as well as academic and non-academic institutions to address the problems of tuberculosis (TB), malaria, HIV/AIDS, nutrition, maternal and child health and to undertake initiatives to advance public health research, education, and services for improving the lives of people and communities. Support building a Master Health Sector client registry linked to the national ID system and other national level legal documents such as Birth Certificates, Passports. Support automating the collection of M&E data from facilities with patient-level data systems. Develop strategies to increase use of data. The ideal candidate should have a masters’ degree in computer/information sciences, health information systems, or related field. S/he should have demonstrable experience designing and managing electronic data management systems and platforms such as CTC, DHIS2, OpenMRS, Open Health Information Exchange including system analysis, development of user-and system requirements, and oversight of software development. In addition, s/he should have experience building health worker capacity in the use of ICT solutions, data analysis, interpretation and use for program management. A minimum of 5 years of experience providing technical assistance to government agencies in developing and strengthening health information and ICT systems in Tanzania. S/he should have experience building health worker capacity in the use of ICT solutions, data analysis, interpretation and use for program management. Provide leadership in writing up grant proposal especially in areas related to M&E and electronic Data management. Identify training needs and design capacity building plan for the HIS project at all levels in the country. Design and provide an effective model of mentorship and supportive supervision for HIS related activities. Master’s Degree in Information Systems (or a related field.) Preference should be someone with a health informatics degree. Proven extensive knowledge or information technology concepts and principles, theories and functions of computer systems. Knowledge of electronic medical records and system interoperability. Training in project management and IT project management. Ability to work well with diverse teams in person and remotely. 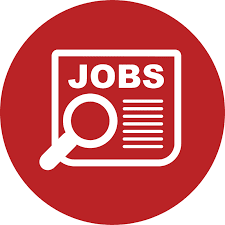 Three to five years relevant experience implementing health information systems at scale and environment similar to Tanzania. Demonstrated experience in managing complex projects, including developing and managing work plans.